Welcome to Dingalings, the only place you’ll find on the web with original and authentic commentary from anthropomorphic bears and woodland creatures. 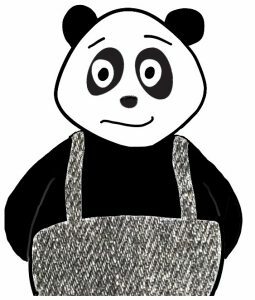 Please note: We’ve had some difficulty with the site which we believe is related to the great bamboo shortage on the mainland. To our loyal followers: we recently had a web meltdown and lost some of our most recent posts. As we start the very manual task of an extensive cleanup, our crack team of web jockeys has been able to recover parts but all aspects. As they look through the storehouse (where is that lost Ark of CSS and HTML anyway?) we’ll continue to work right through the business day to catch up… no nine to five for us! If you have an outstanding order of a past strip or print, please know that fulfilling it is our number one priority. We appreciate your patience and support through this challenging time. This is as a good place as any to introduce the home for the characters of dingalings, which are of course trademarked, copyrighted, affixed, mutilated and spindled.